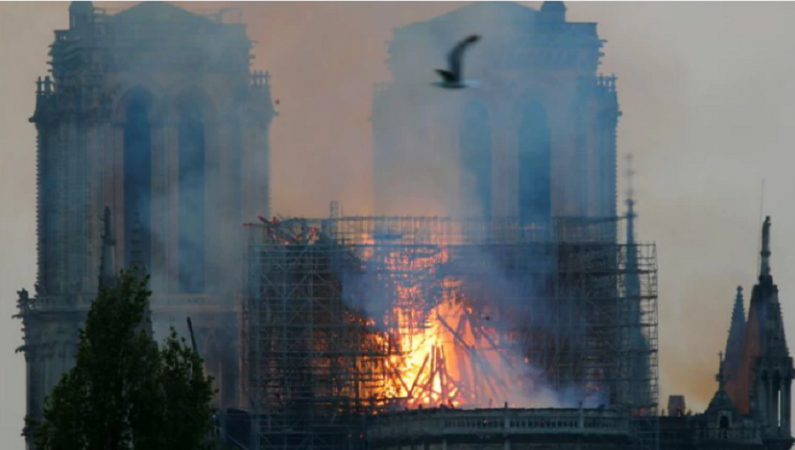 The flames that began in the early evening burst through the roof of the centuries-old Notre-Dame Cathedral and engulfed the spire, which collapsed, quickly followed by the entire roof. 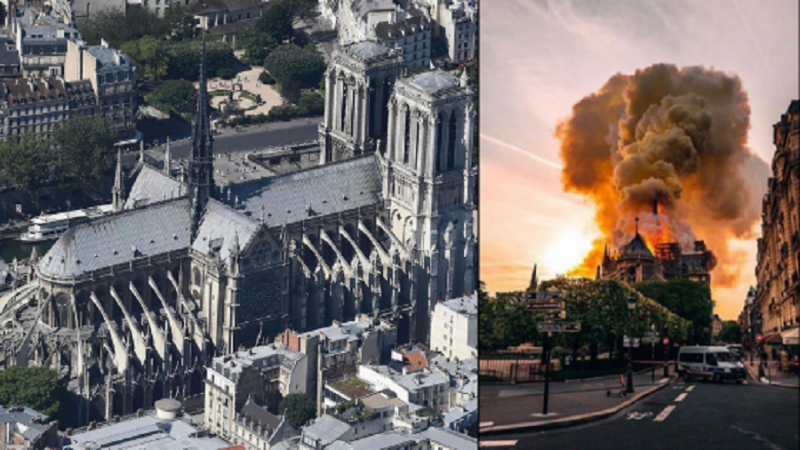 Before and after fire: Notre-Dame Cathedral in Paris, France. 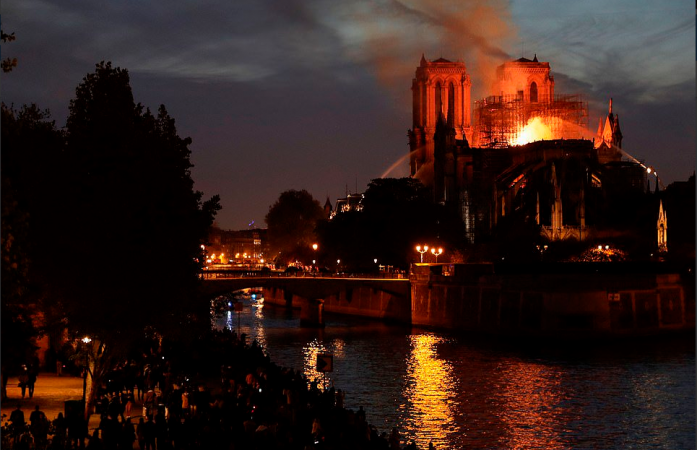 Taking to Twitter French President Emmanuel Macron said, "Like all our compatriots, I am sad this evening to see this part of all of us burn." 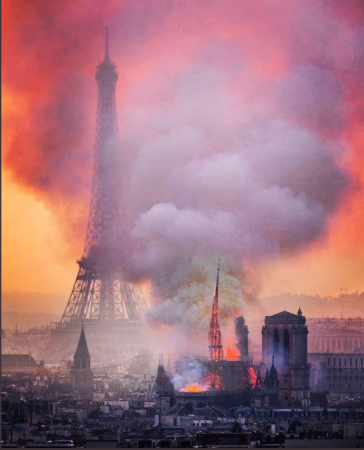 The fire at the historic landmark could be seen from across Paris. 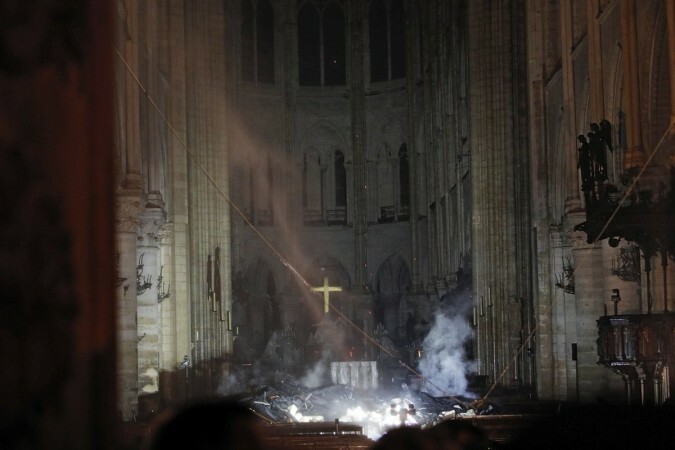 The roof of the cathedral is consumed by the fire. 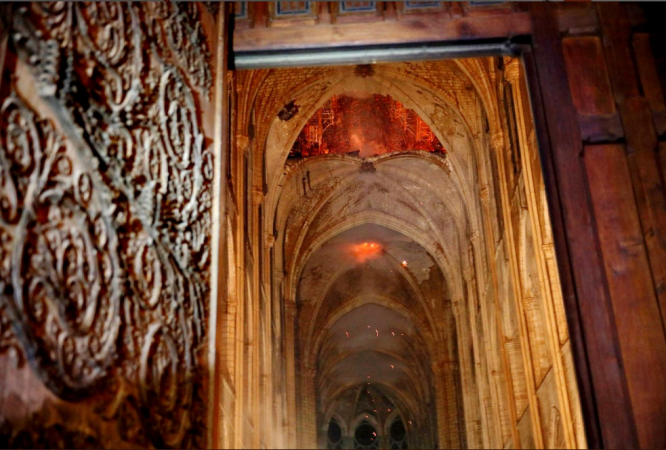 The fire destroys the 850-year-old building. 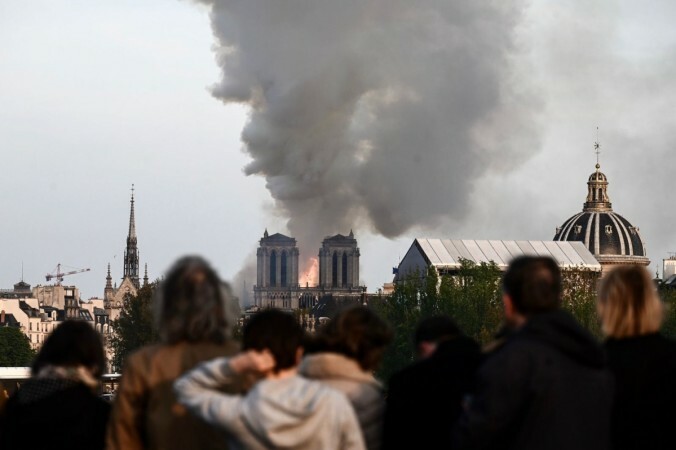 People gather outside the cathedral on the bank of the Seine to watch the fire. 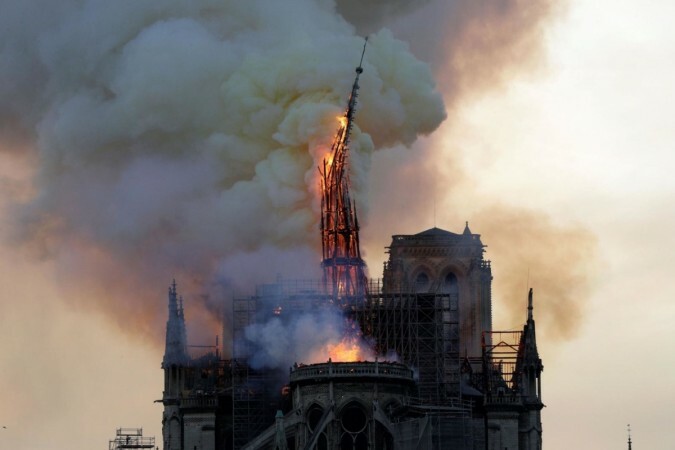 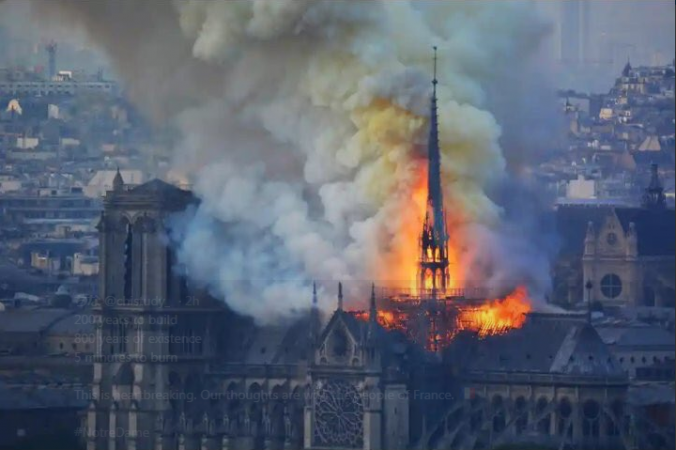 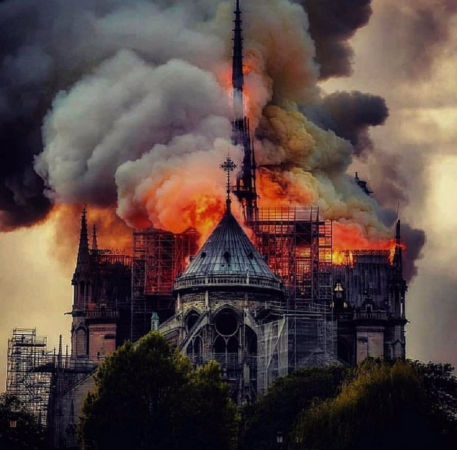 The fire has partially destroyed the Notre Dame cathedral.